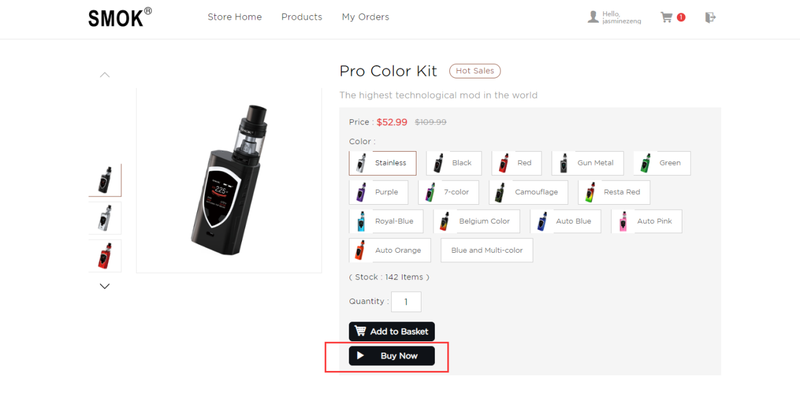 Shopping Help - SMOK® Innovation keeps changing the vaping experience! 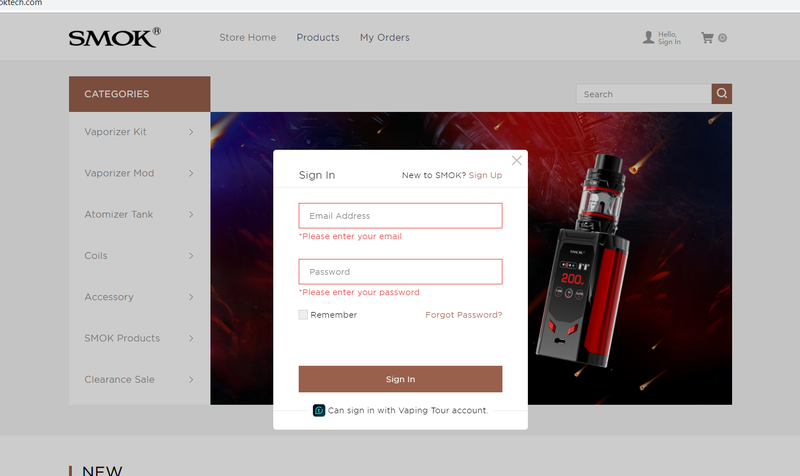 How to place a order in SMOK online store(Including the age verification)? 3. Go to your shopping cart, select the item and click Next Step. 4. Add your Shipping Address in the new page. All info are required with red star mark. 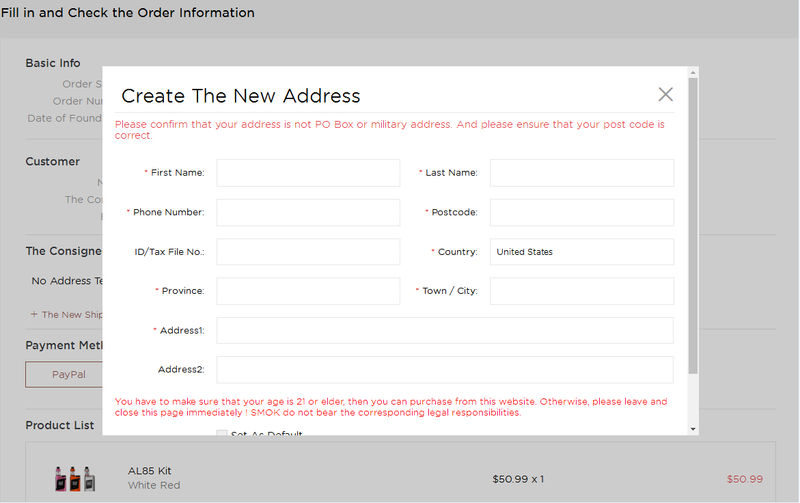 5.If the user's shipping address is in United States, the age verification is required. You must be over 21 years old to visit our website & do the shopping. The users need to fill in your personal information, such as your name, last four digits of SSN, birthday, country, address, to get verified by a third-party age verification company. The more the information you put in, the higher the verification passing rate will be. 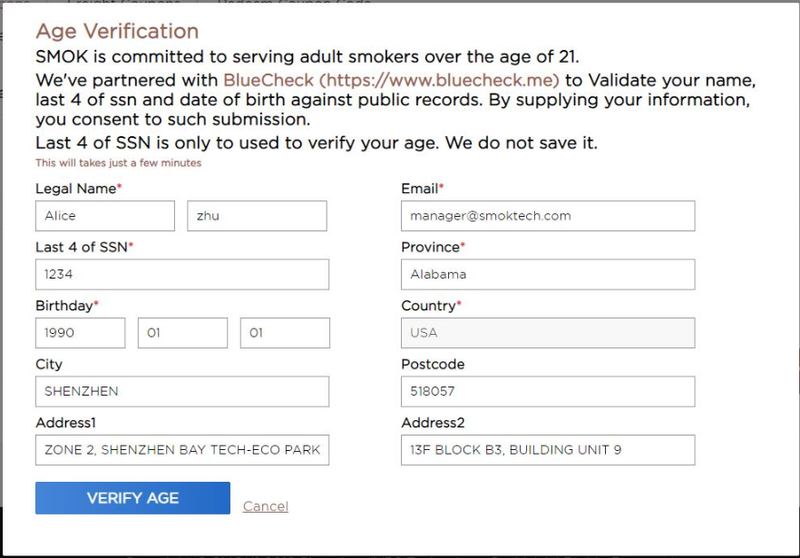 If you passed the age verification, the following interface will be prompted. 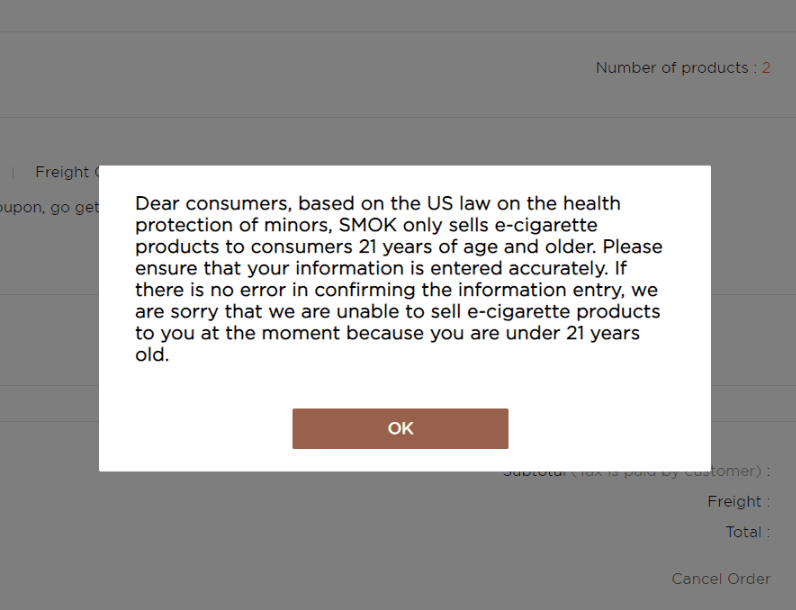 If the user's age verification does not pass, the following interface will be prompted. 7. 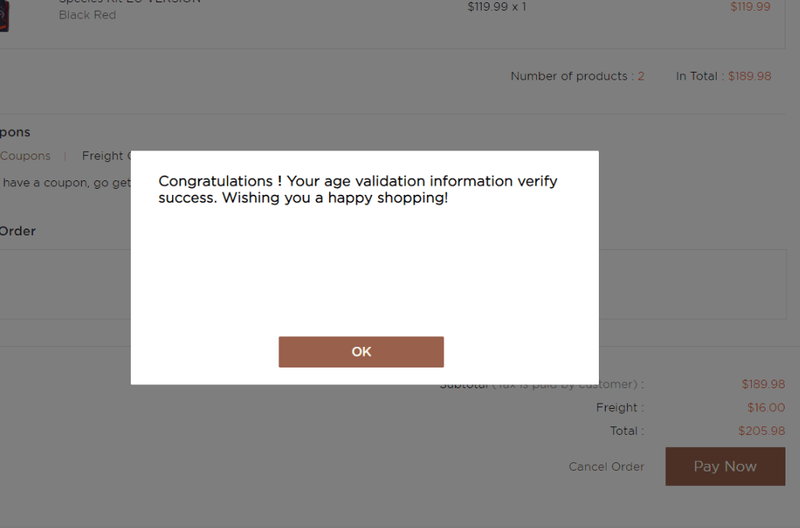 After you passed the age verification, you can redeem a coupon code if there is one. If you have a coupon of the product or the frieght, don't forget to select them as well. 8. 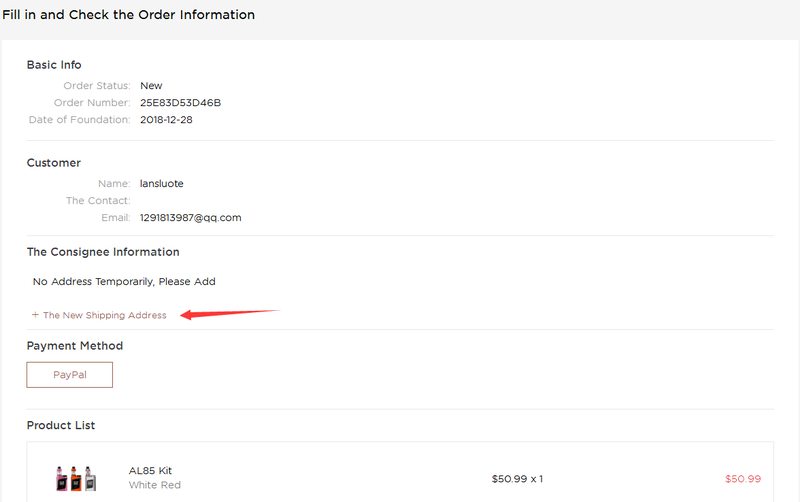 Mark your order requirement in the blank area if it is needed. Then submit the payment. Please be aware: Paypal is the only payment method we accept now. 7. At last, waiting for the fast delivery and enjoy vaping with SMOK fantastic products! （1）$20 coupon will be released to your account automatically after you passed the age verification. （2）If you are over 21 years old and still fails the age verification, please double check all the info you put. Especially to make sure that your SSN matches your birthday info. If you still have trouble with it after all things checked, please email to order@smoktech.com to get more help. （3） An account is only required to get verified once. Changing the address in the future won't need to do the age verification again. Thank you for the greatest support!